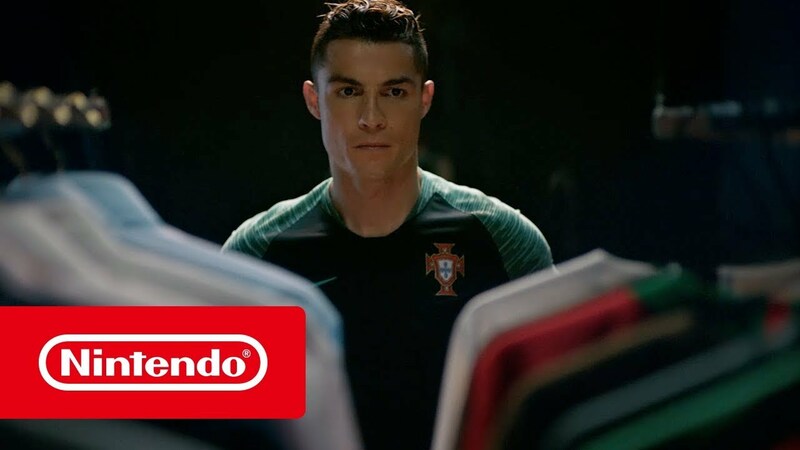 EA SPORTS™ FIFA 18 on Nintendo Switch is the most immersive, social, and authentic football game ever created for Nintendo players. Feature packed, you can now play the world’s game anytime, anywhere and in unique ways with EA SPORTS™ FIFA 18 on Nintendo Switch. 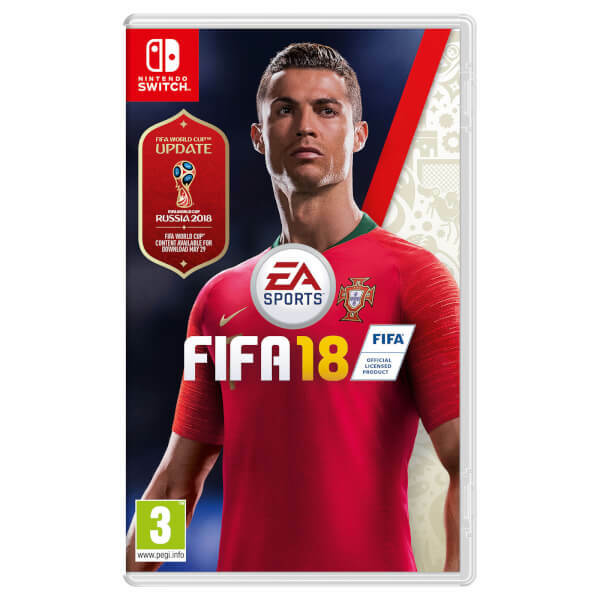 *Box art may vary between Standard and World Cup Edition, contents remain the same. Your FIFA, Your Way: Brand-new ways to play single and multiplayer on the most social FIFA experience ever. 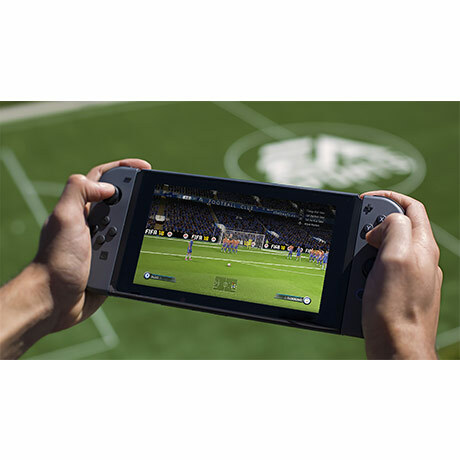 With a variety of controller and display configurations available, as well as split Joy-Con support, FIFA 18 on the Nintendo Switch offers a responsive and engaging gaming experience – no matter how you play. Celebrate The World's Game in EA SPORTS FIFA 18 with the addition of football’s biggest tournament: the 2018 FIFA World Cup Russia. 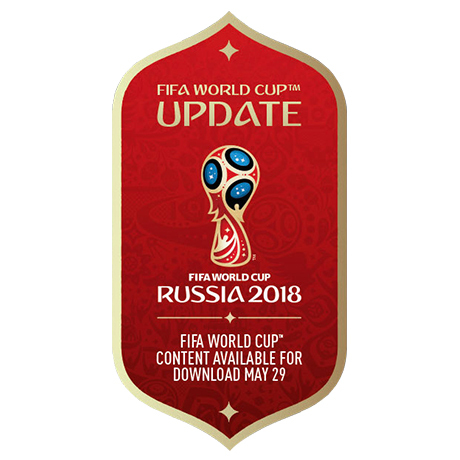 Available to FIFA 18 owners through a free content update on May 29, the FIFA World Cup lets you experience the greatest tournament on Earth through authentic gameplay, teams, stadiums, and more. Your Favorite FIFA Modes, for Nintendo SWITCH: With FIFA Ultimate Team, Career Mode, and Switch-tailored Kickoff, and Local Seasons, FIFA 18 on Nintendo Switch is the deepest portable FIFA ever. 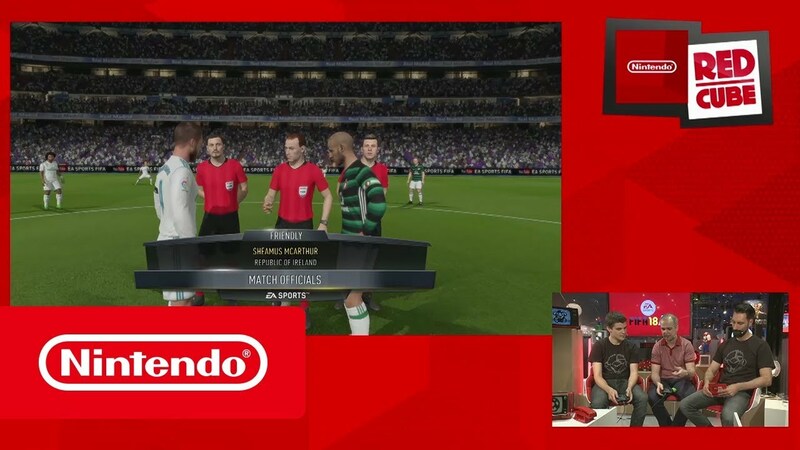 Immersive Presentation and Gameplay: With advanced rendering technology, FIFA 18 on Nintendo Switch delivers an unparalleled experience. The product boasts a full 1080p on TV and 720p on handheld, delivering authentic football atmospheres, no matter where you play. Experience brand-new pitch environments, unique physically based rendering for all characters, and new gameplay mechanics. Console Configurations: Experience FIFA wherever, whenever and however you want. Connect to your television and play, Single or Multiplayer, Offline or Online*, or take the same modes on-the-go. 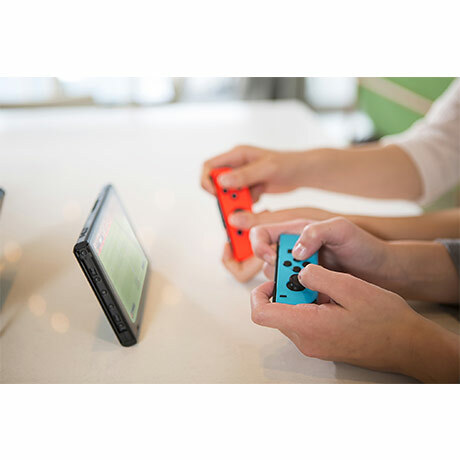 Play with the console, Docked, Handheld,Tabletop or Local Multiplayer Connecion. Note: FIFA 18 will also support Pro Controller configuration. 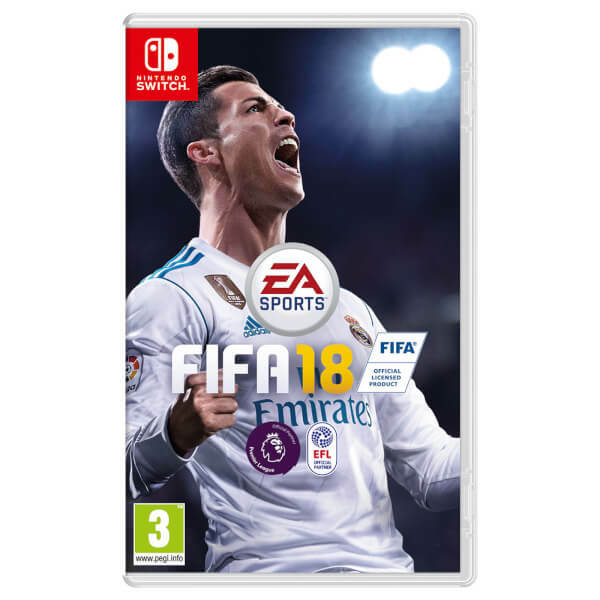 With FIFA Ultimate Team, Career Mode, Switch Kick Off, and Local Seasons, FIFA 18 on Nintendo Switch offers fans more depth in modes than any other portable console. Modes, Built for Nintendo Switch: FIFA 18 built for Nintendo Switch includes your favorite modes from the EA SPORTS FIFA franchise, optimized for the console. 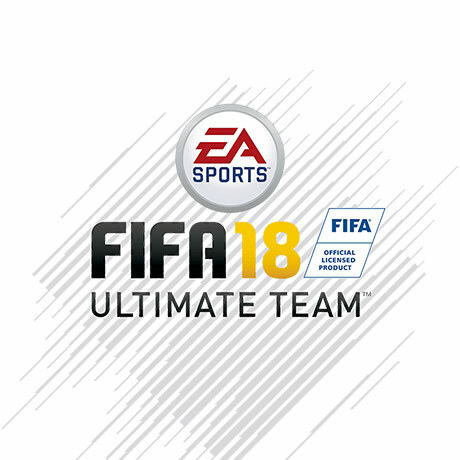 FIFA Ultimate Team: The most popular mode in EA SPORTS FIFA is available on Nintendo Switch, allowing you to build and manage your own squad from thousands of authentic players. Depth in Modes: The most exciting ways to play FUT including: Single Player and Online versions of Seasons, Tournaments, and Draft while also featuring Squad Building Challenges and Team of The Week Challenges. FUT Icons: The best of the best are coming to FIFA 18. Play with most iconic legends of football including Ronaldo Nazário, and more to be revealed. Live Campaigns:FIFA Ultimate Team reflects the real world, evolving with the season to align and reflect major cultural and football moments. Transfer Market: Engage in a global transfer system, buying and selling players to build your team and track down the players you want for your squad. Authentic Visuals: With advanced rendering technology, FIFA on Nintendo Switch delivers an unparalleled experience. 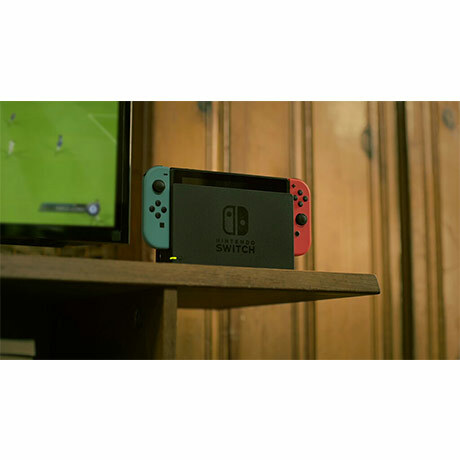 The product boasts full 1080p on TV and 720p on handheld, Nintendo Switch delivers authentic football atmospheres. Physically Based Player Rendering (PBR): Experience authentic player renders, built with PBR shading to make characters more life-like than ever before on a portable console. Immersive Environments: Advanced rendering technology puts you in authentic stadiums, featuring 3D crowds and grass, and immersive broadcast presentation. Gameplay: New gameplay mechanics allow you to take total control on the pitch. Complete Control Crossing: All-new crossing controls provide the player with a variety of options to put the ball into the box, creating dynamic attacking chances. Responsive Play: Feel in control of possession in attack, with creative skills, responsive touches, and a dynamic control dribble mechanic. In addition, authentic animations for volleys, shooting, and tackling offer a fluid and rewarding gameplay experience. Trainer Overlays: Intelligent overlays help you learn gameplay mechanics. The trainer adapts to how your style of play, giving an edge to players of all skill levels. Celebrate The World's Game in EA SPORTS FIFA 18 with the addition of football’s biggest tournament: the 2018 FIFA World Cup Russia™. Available to FIFA 18 owners through a free content update on May 29th, the FIFA World Cup™ lets you experience the greatest tournament on Earth through authentic gameplay, teams, stadiums, and more. EA SPORTS™ FIFA 18 comes to Nintendo Switch on September 29th. 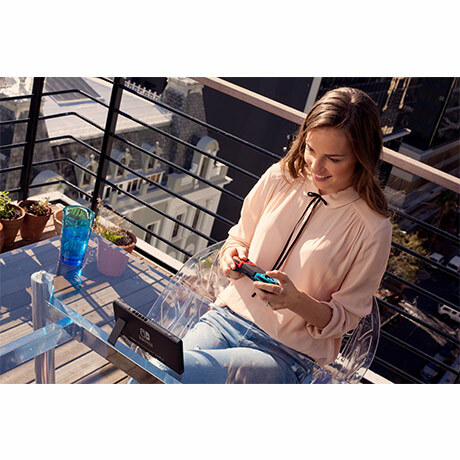 Settle scores, face foes and play together wherever you go, with Nintendo Switch. A solid football game that is amazing to play in handheld mode! I like the game . Once you get used to the controls its really good.